We present a tangible memory notebook—reMi—that records ambient sounds and translates them into a tangible and shareable memory using animated paper. 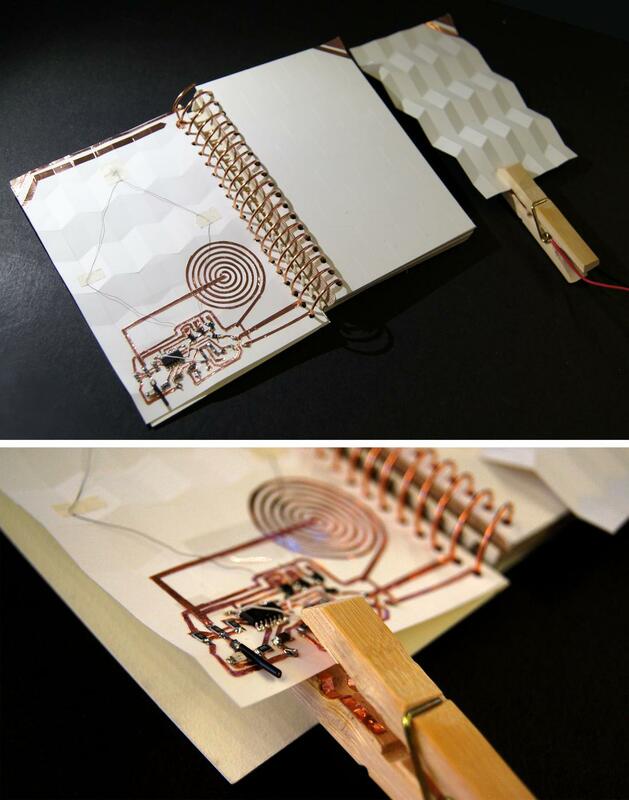 The paper replays the recorded sounds and deforms its shape to generate synchronized motions with the sounds. Computer-mediated communication interfaces have allowed us to share, record, and recall memories easily through visual records. However, those digital visual-cues that are trapped behind the device’s 2D screen are not the only means to recall a memory we experienced with more than the sense of vision. To develop a new way to store, recall, and share a memory, we investigate how tangible motion of a paper that represents sound can enhance "reminiscence."